My girlfriend Lindsay is a triathlete, and she loves the cycling portion of the event. I’m not a worrier by any stretch of the imagination, but sometimes I do get nervous when she’s out on her daily ride. I trust her ability to ride… I don’t trust the drivers on the road. To get some piece of mind I bought her a RoadID bracelet with her name, and my/ her family’s contact information should an emergency arise. 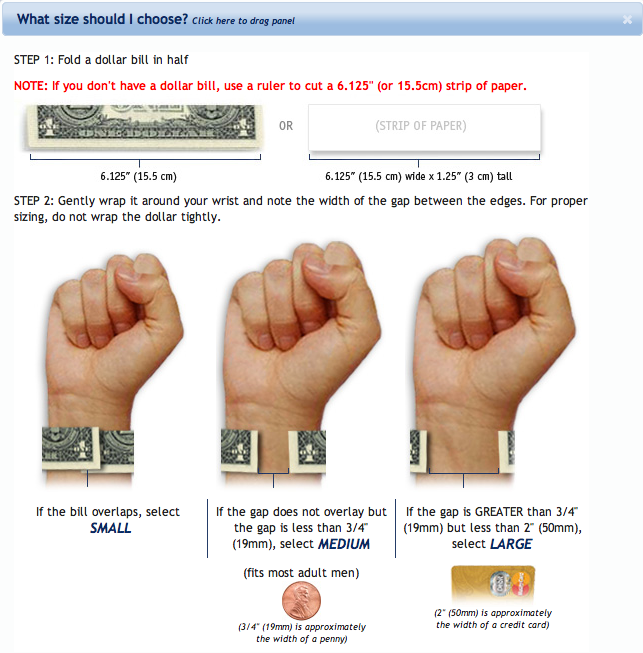 All you have to do is wrap a dollar bill around your wrist, and you know what size to order. This is a genius solution because everyone has a dollar lying around. It’s simple and very effective. Whoever came up with this deserves a cookie.